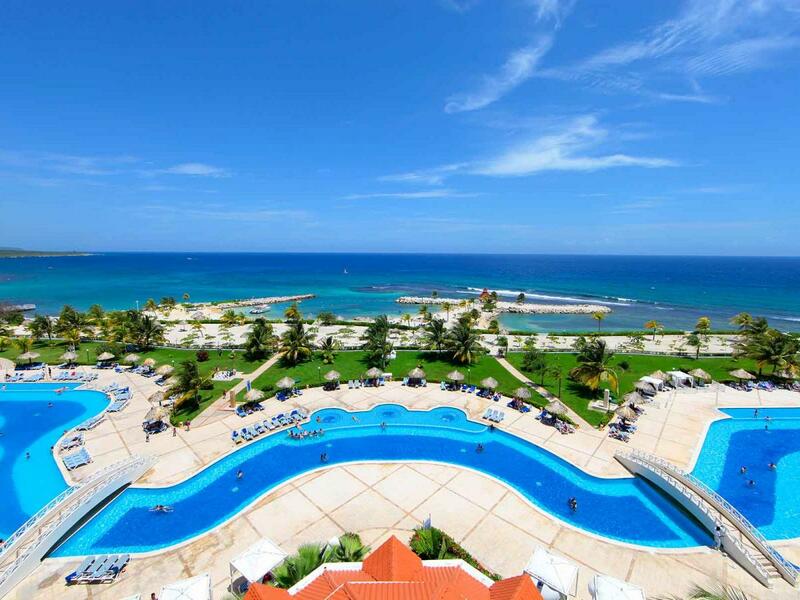 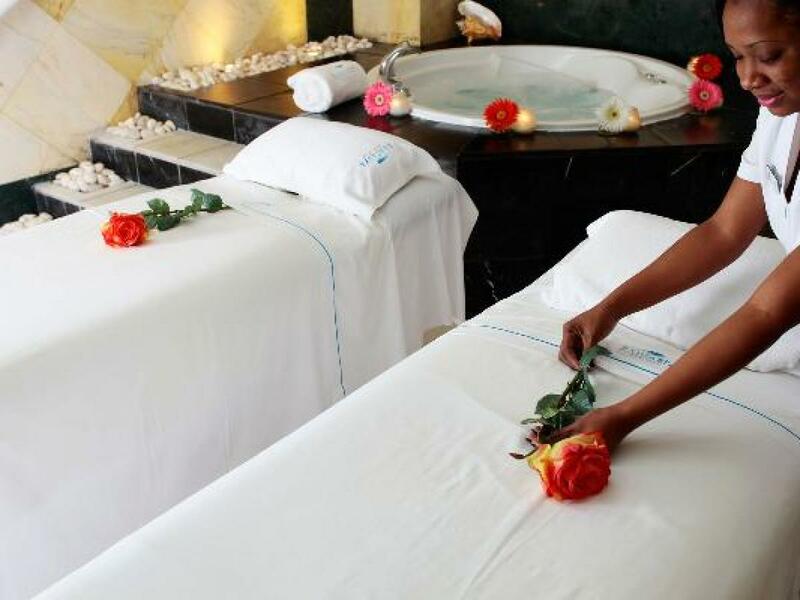 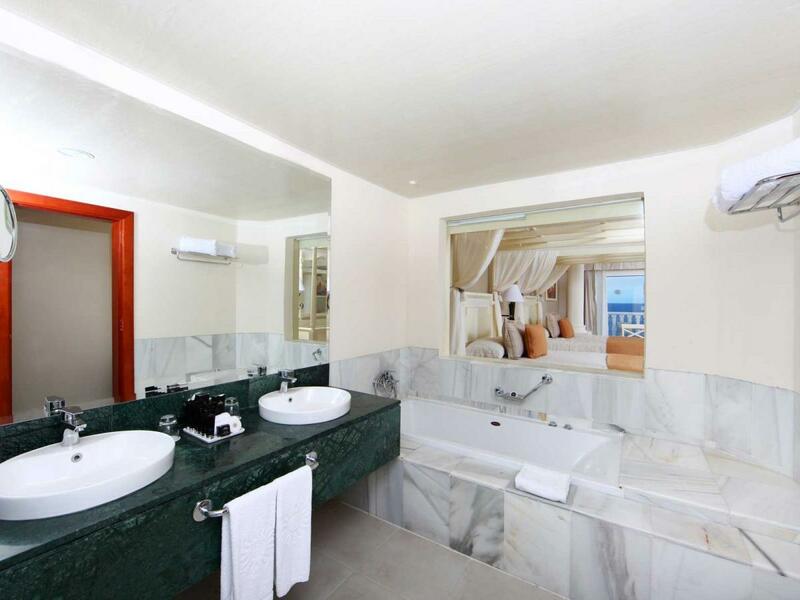 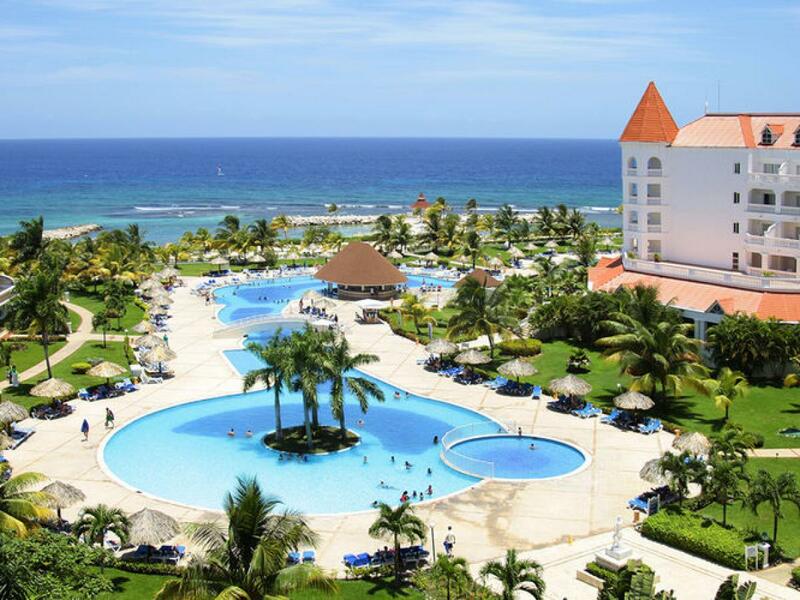 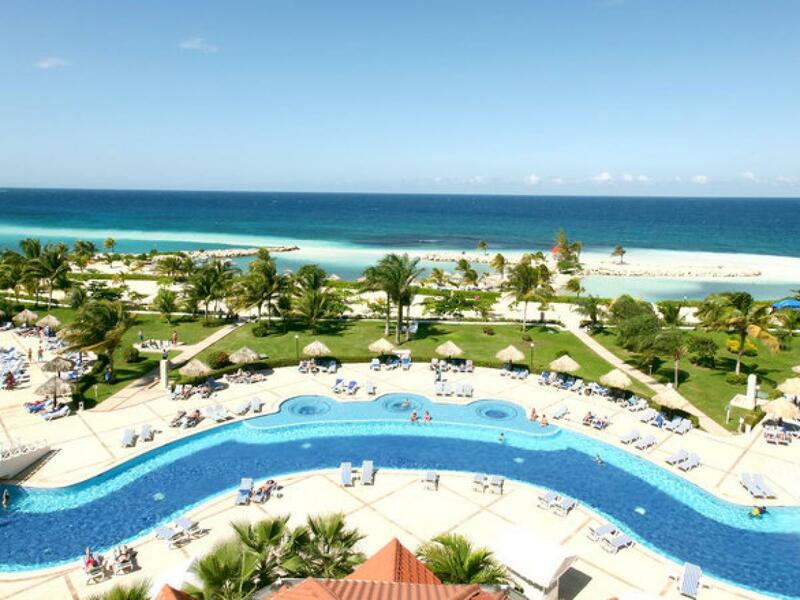 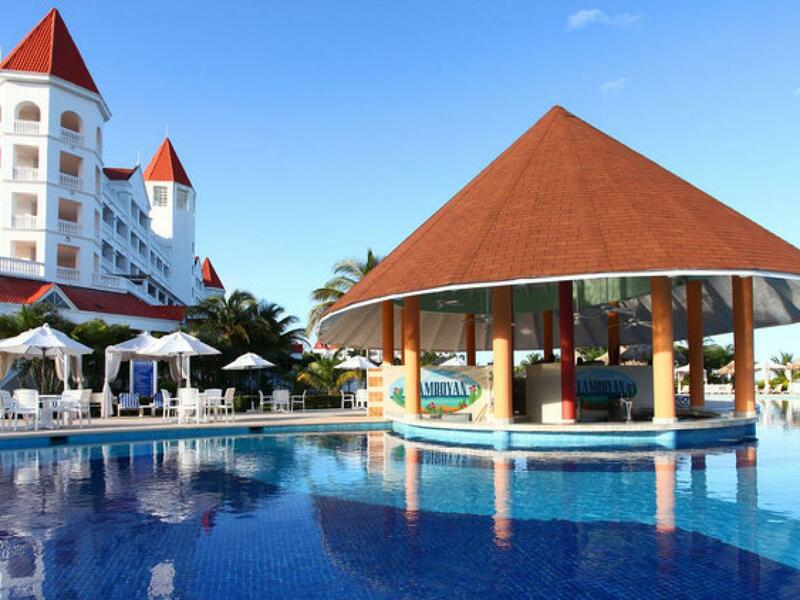 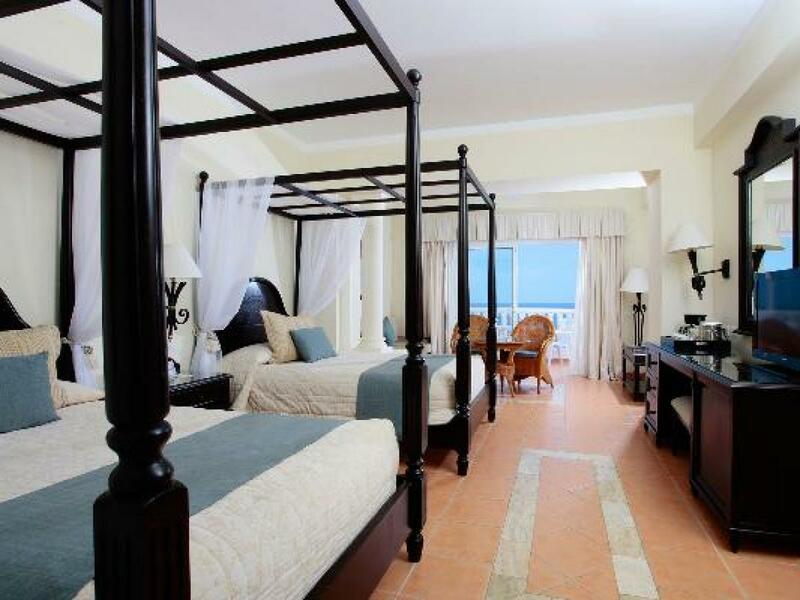 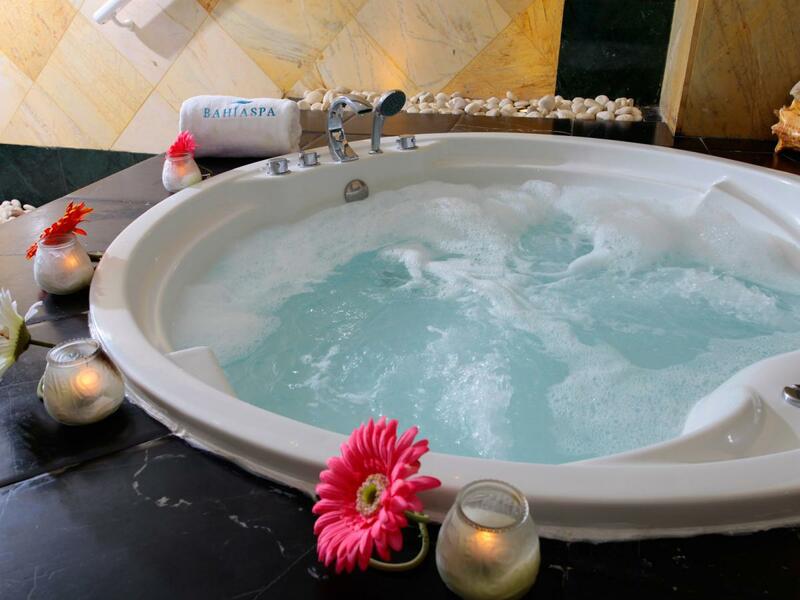 The 840 Rooms of the Grand Bahia Principe Jamaica hotels are all Junior Suites with hydro massage tubs, the majority with beautiful views of the sea and with exclusive services. 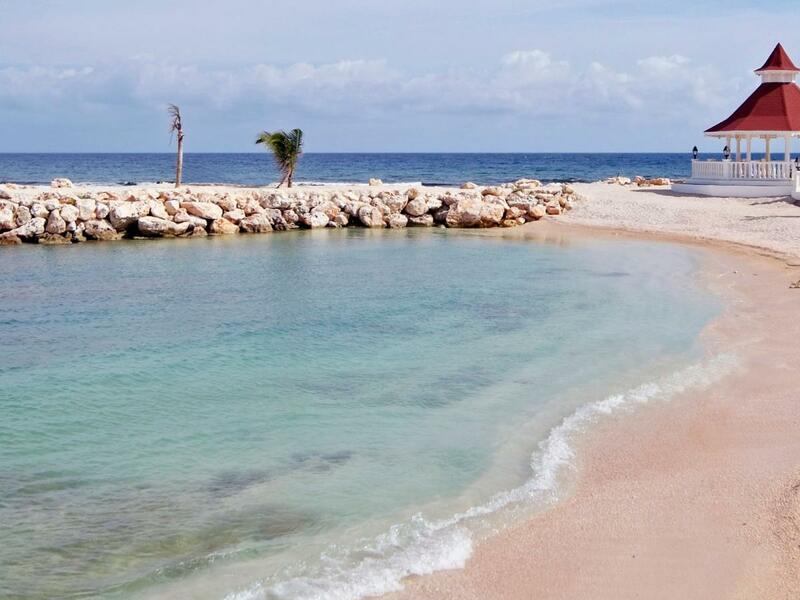 Come and find your place in the paradise of Runaway Bay, you won't be sorry! 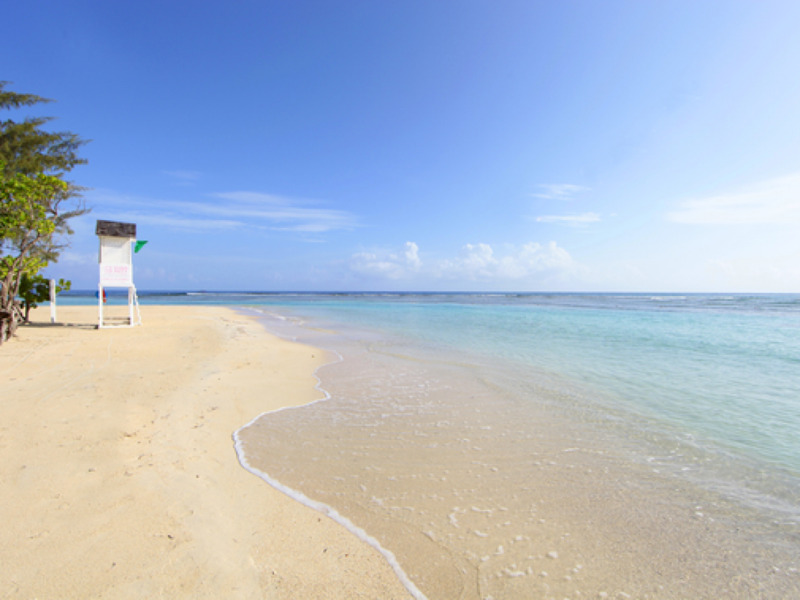 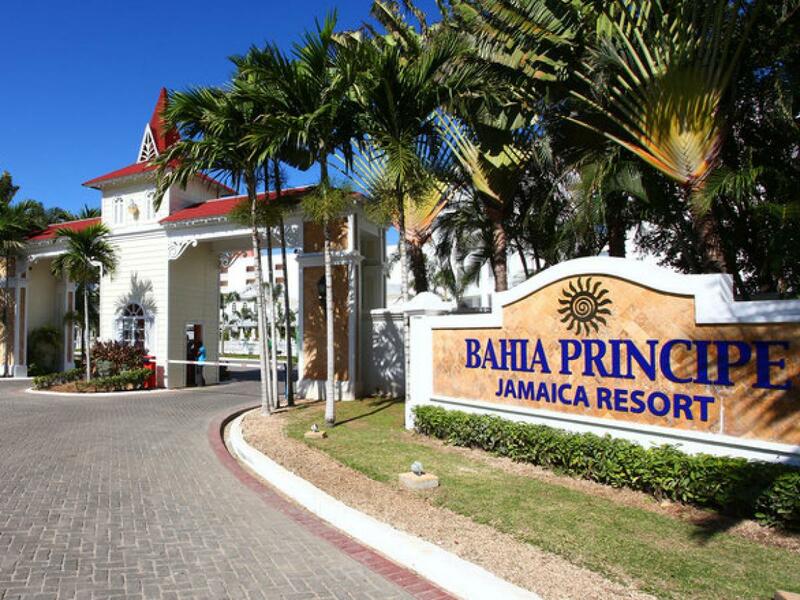 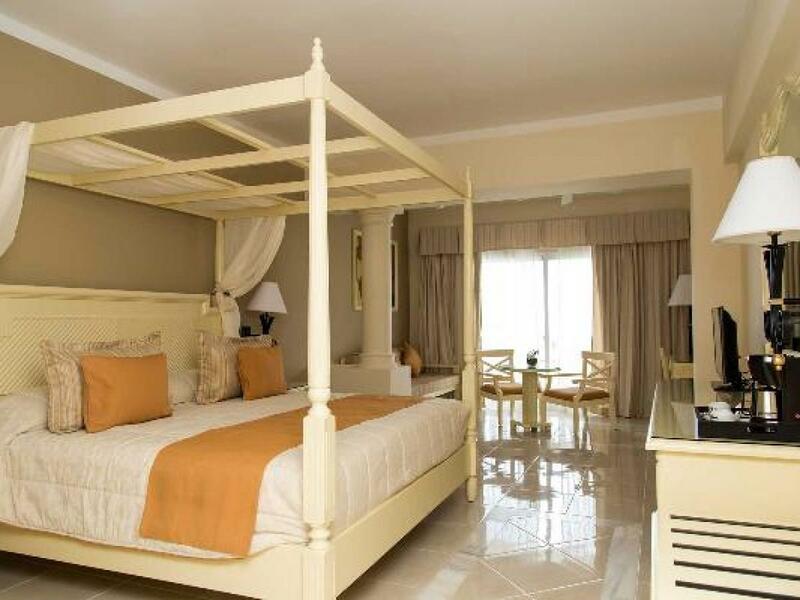 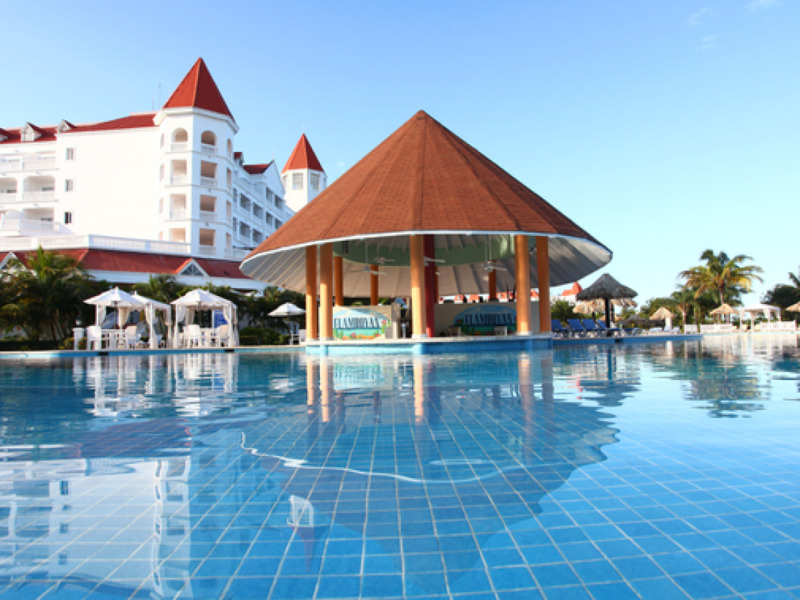 The Gran Bahia Principe Jamaica is located on the beautiful beach of Runaway Bay, one hour from Montego Bay Airport and only 25 minutes from the village of Ocho Rios. 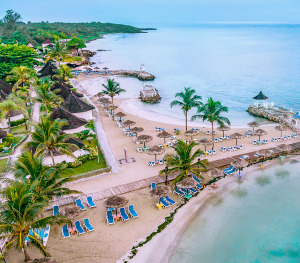 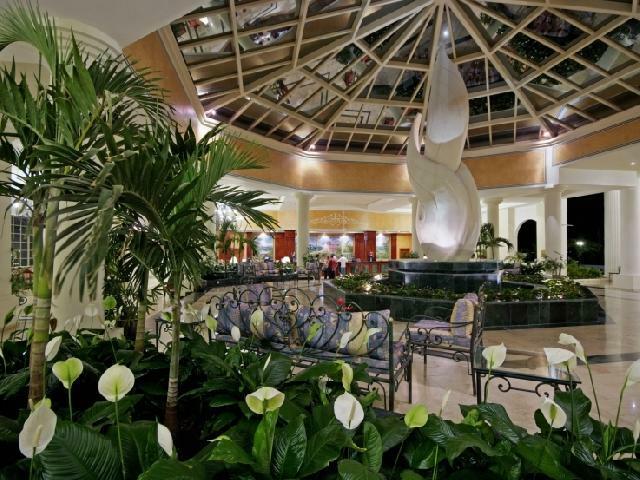 Your vacation at the resort will be unforgettable.The Gran Bahia Principe Jamaica is the ideal place to celebrate your wedding and honeymoon. 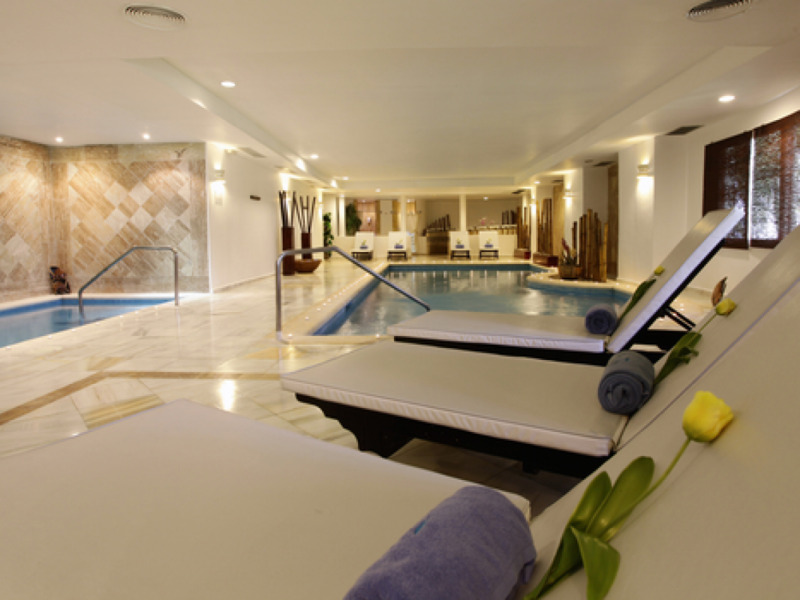 To spend as a family with children, in a group of friends or as a couple. 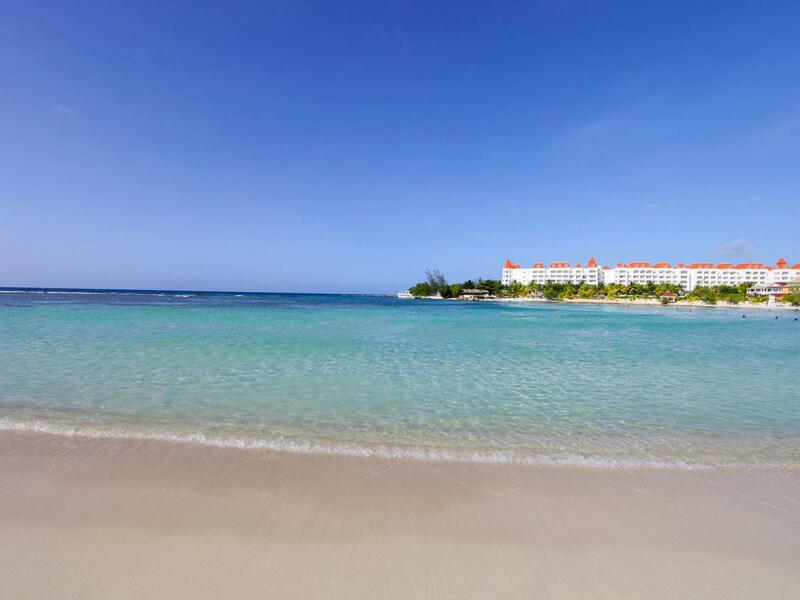 Discover it for yourself. Spectacular Victorian-style resort is located on the beachfront in Runaway Bay. 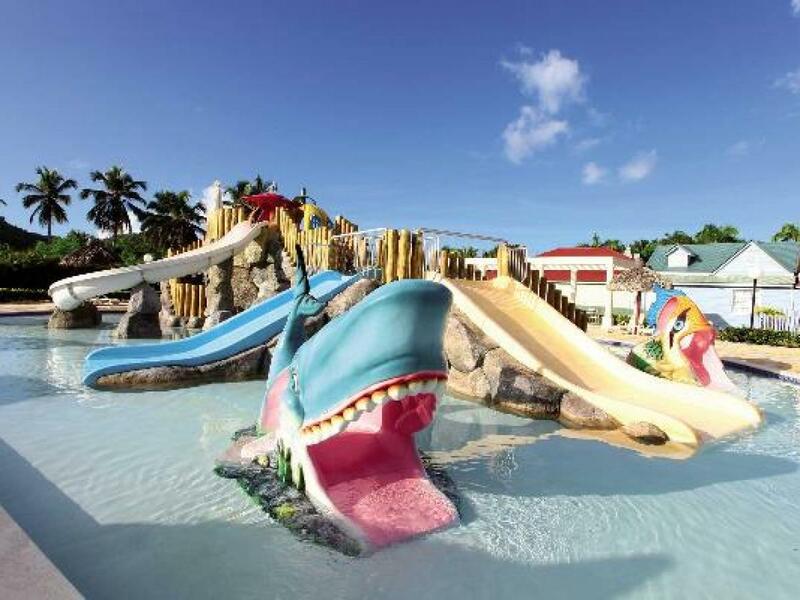 Both Adults and children alike will enjoy the three interconncecting lake-style pools that surround the main building. . 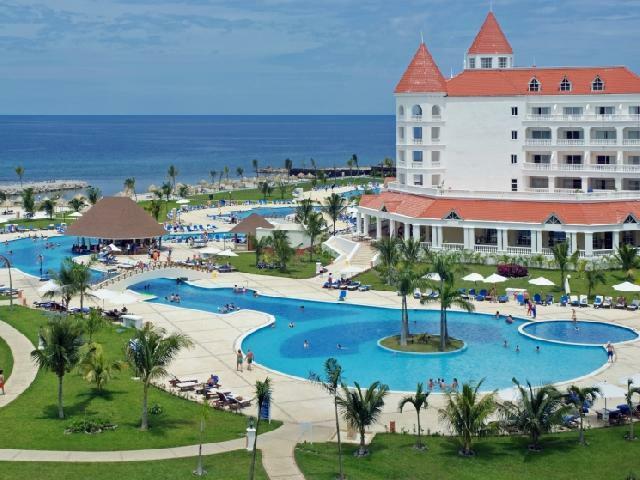 The nearest golf course to the resort is the magnificent Breezes Runaway a golf course with 18 holes which is only 5 minutes from the hotel. 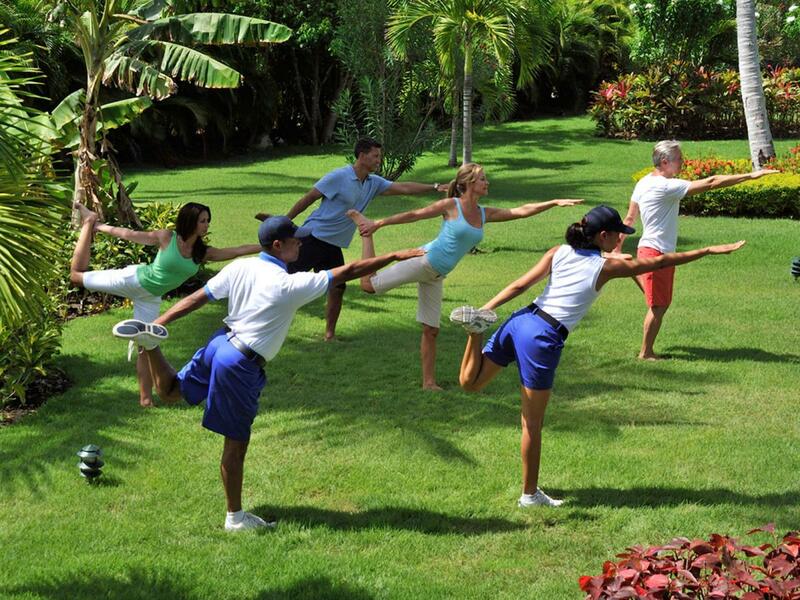 You can also do your favorite sport at Rose Hall Golf, with 54 holes. 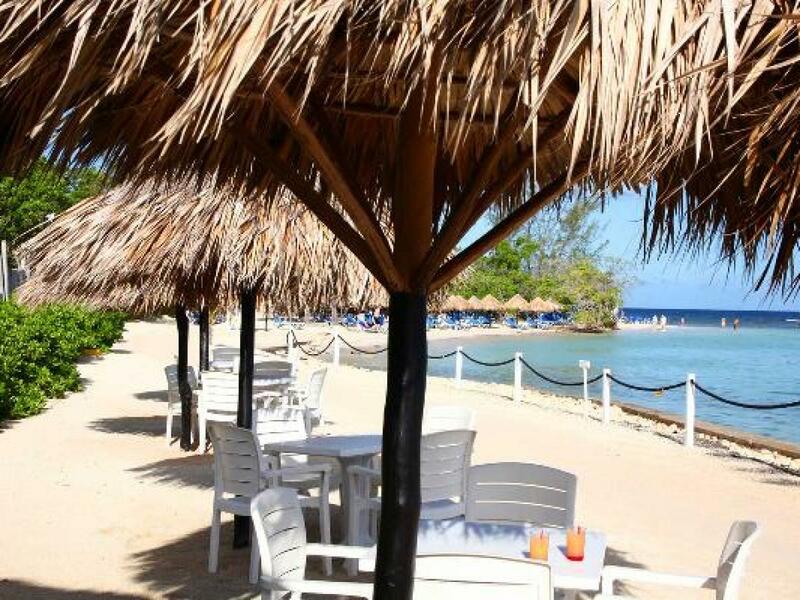 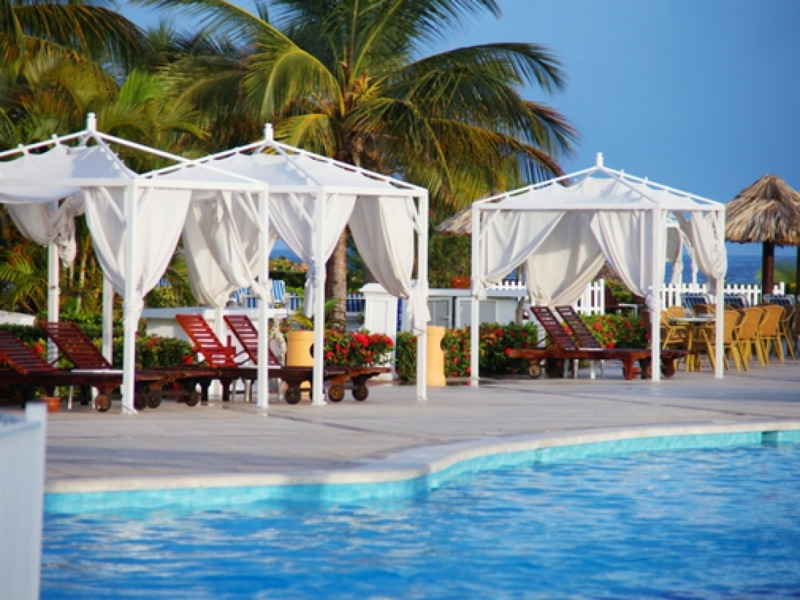 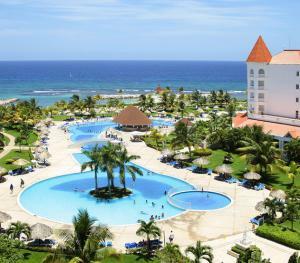 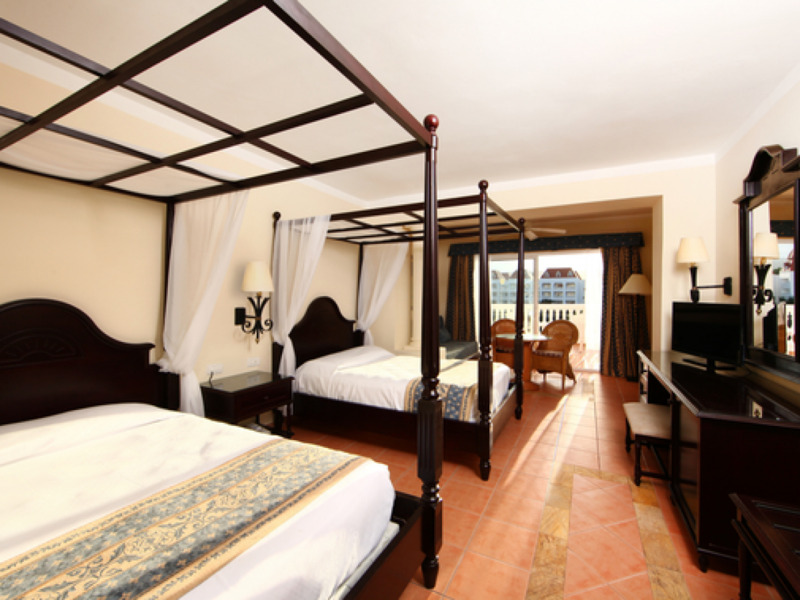 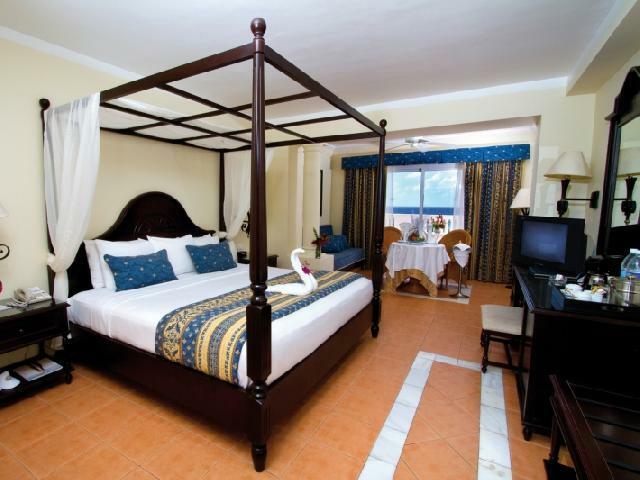 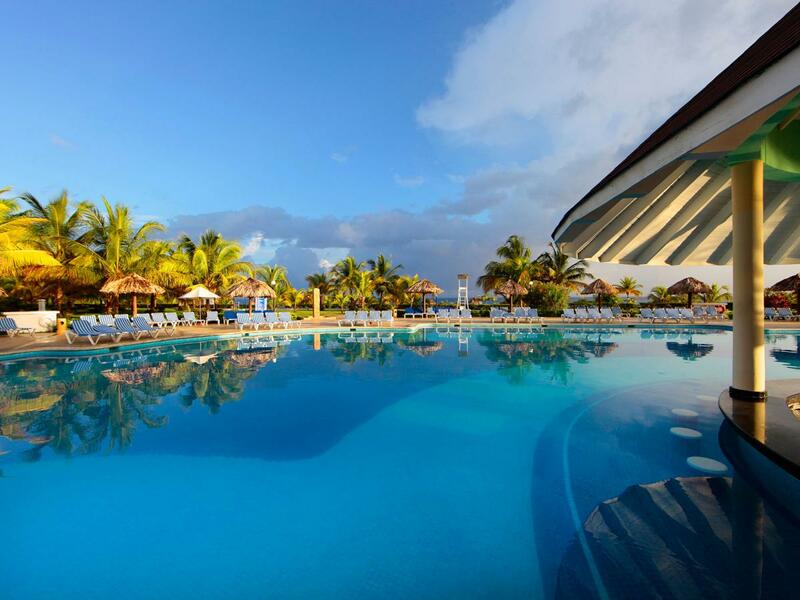 It is located on the sensational northern coast of Jamaica and is only 30 minutes from the hotel. 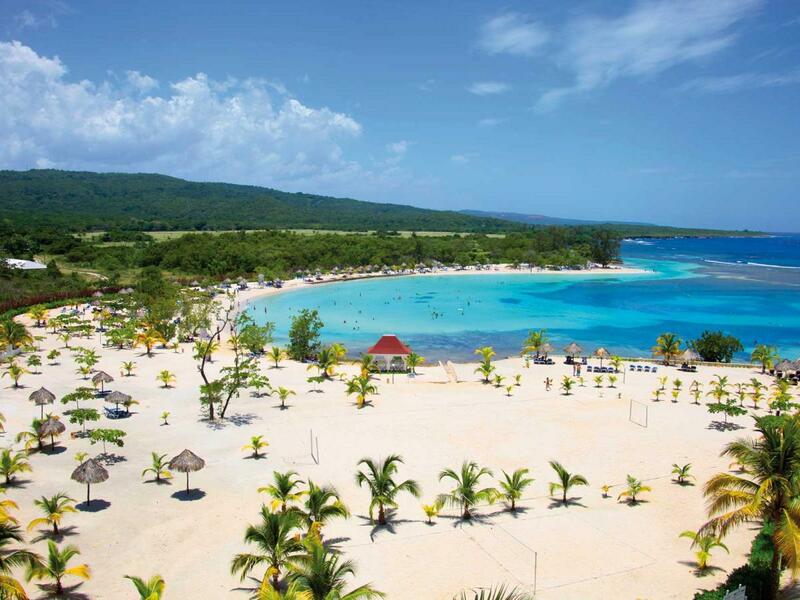 The White Witch Golf, with 18 holes, 16 of which face the Caribbean sea. 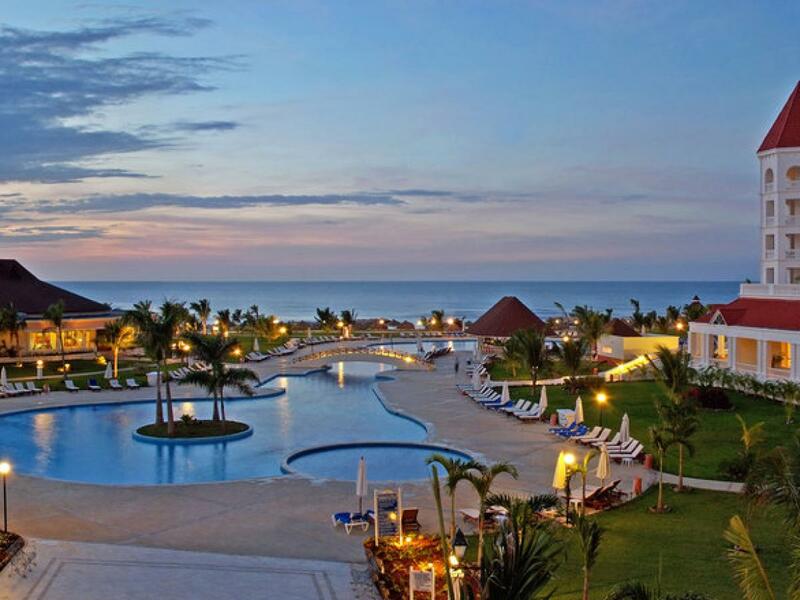 Only 30 minutes from the hotel. 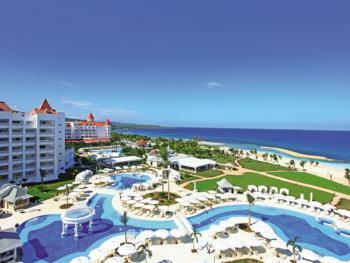 And Cinnamon Hills, which is 6,798 yards long, with 18 holes and par 72, with spectacular views. 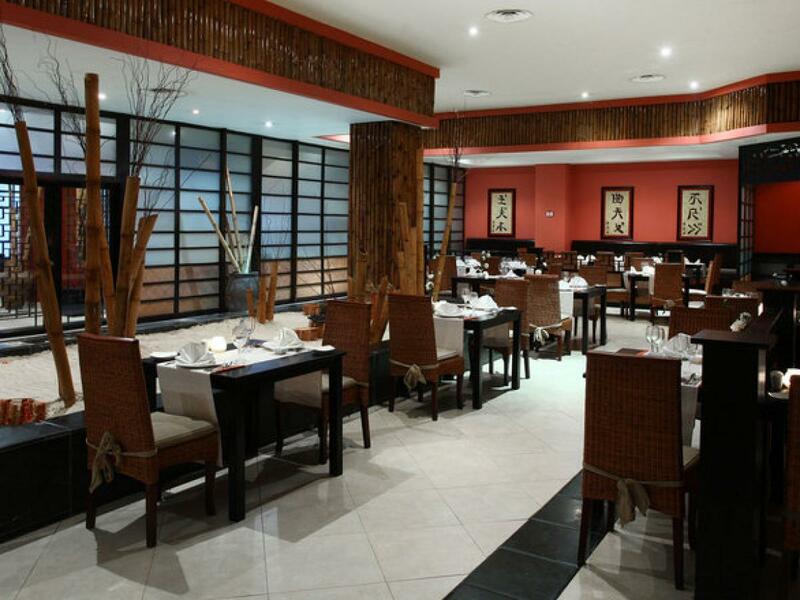 Restaurant with tepanyaky grills where our chef prepares Japanese cuisine, combining new and traditional recipes with original seasonings. 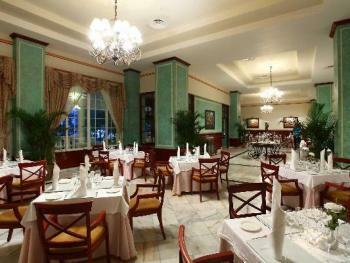 À la carte restaurant where guests can enjoy experimental cuisine and modernist design. À la carte restaurant where you\'ll find the authentic flavor of grilled meats with their original seasonings. 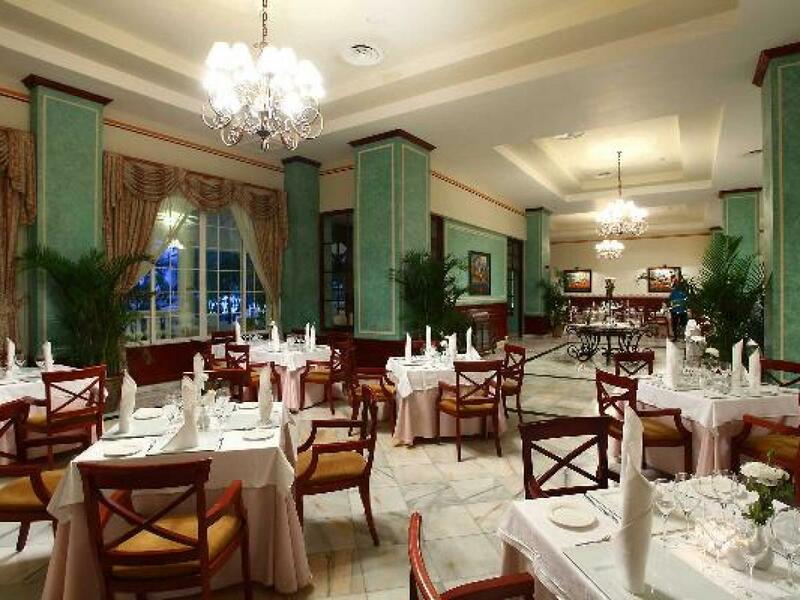 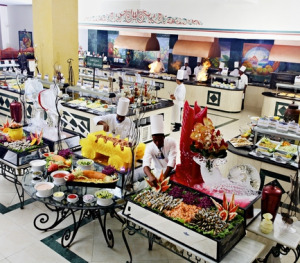 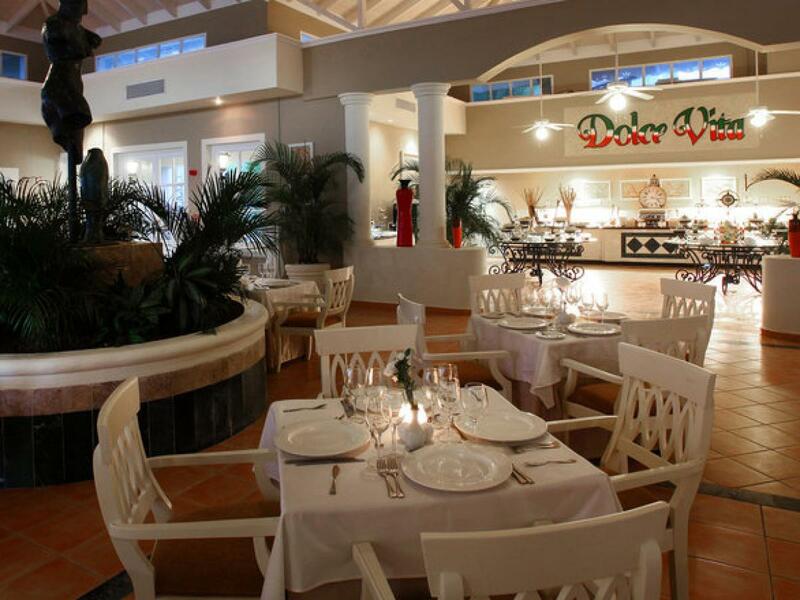 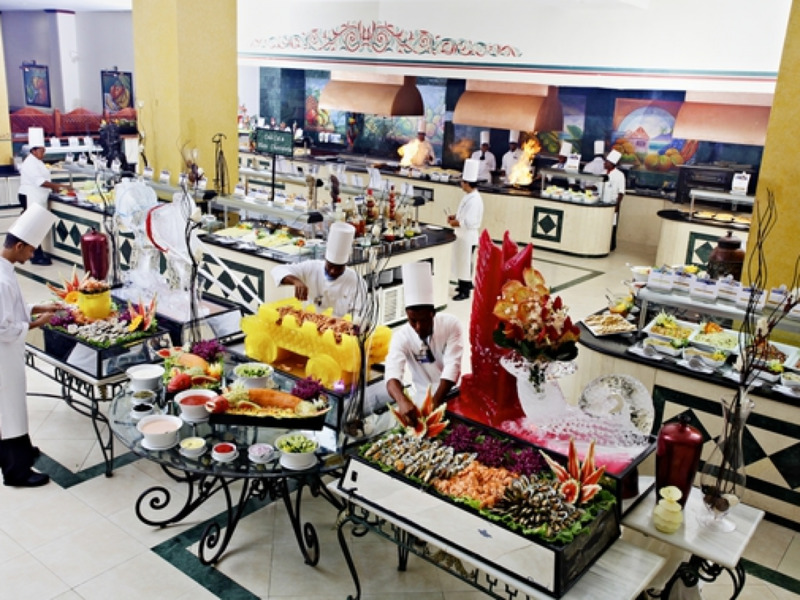 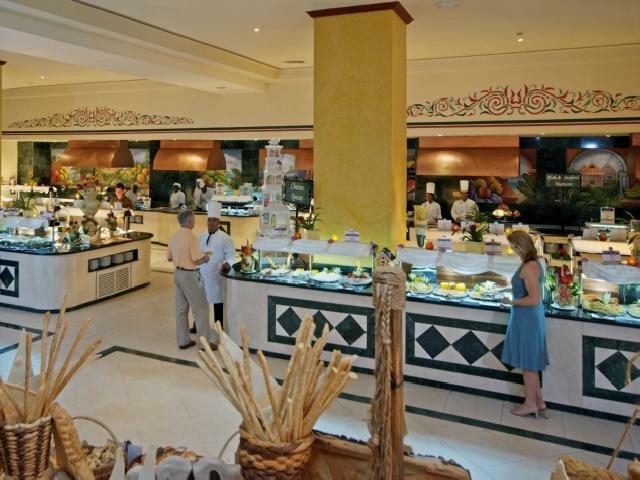 Breakfast, lunch and buffet dinner with traditional dishes from international cuisine. Theme dining nights by country. 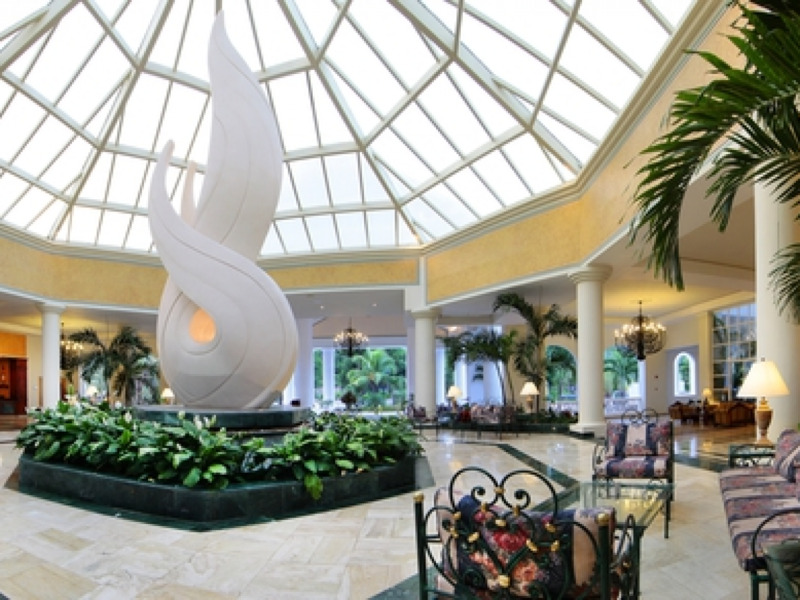 Smoking is not permitted. 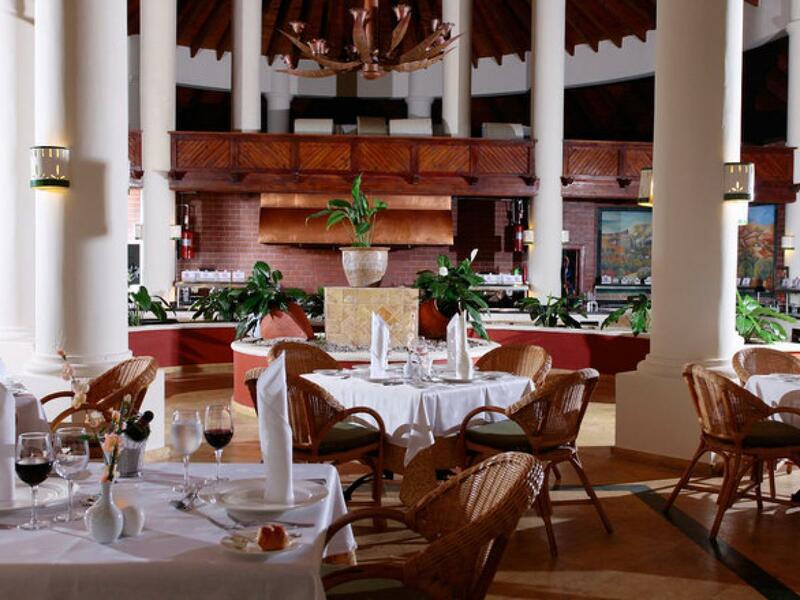 In all the bars you will enjoy the all-inclusive package with a wide selection of alcoholic drinks, beer and soft drinks. 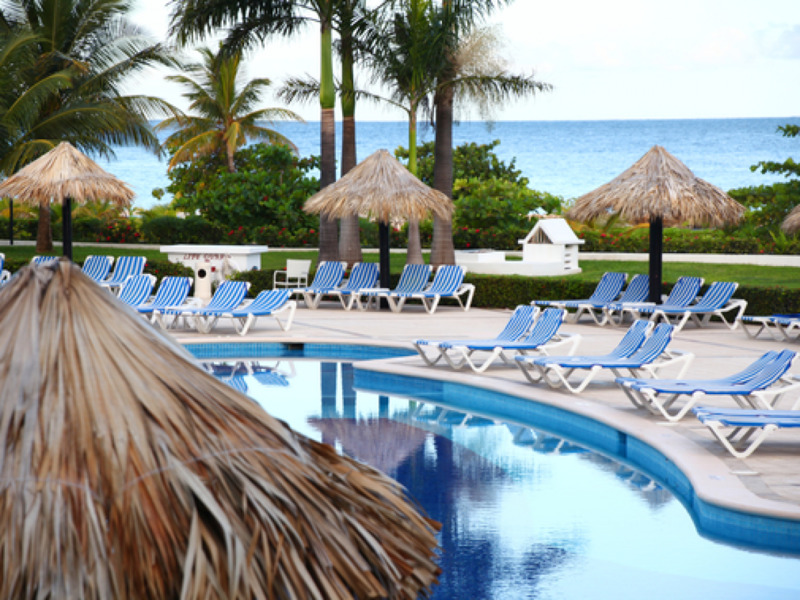 We have 6 bars, in the hotel lobby, with live music at night, a bar in the pool, a bar in the pool, a wet bar in the water, a beach bar, a bar in the amphitheater and a Snack Bar with American-style fast food.